OMX-acquired image of a Drosophila blood-brain barrier (projection, early larval stage). Red, gap junction (Innexin 1). Confocal image showing a lateral view of a Drosophila ventral nerve chord (projection, early larval stage). 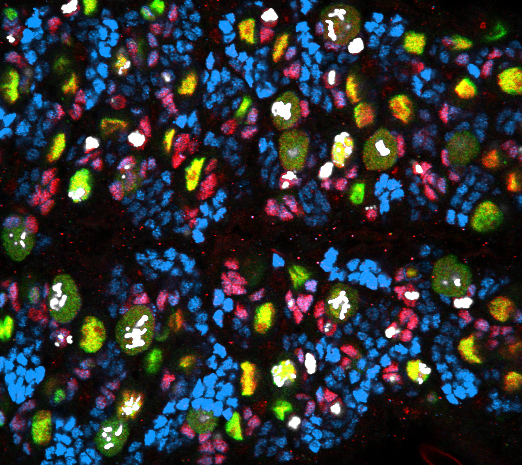 Green, neural stem cell membranes. 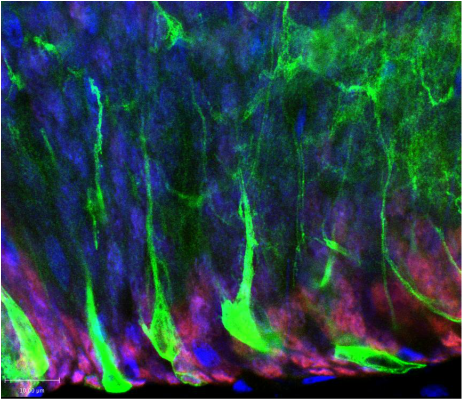 Confocal image of a ventral view of a Drosophila ventral nerve chord (single slice, late larval stage). 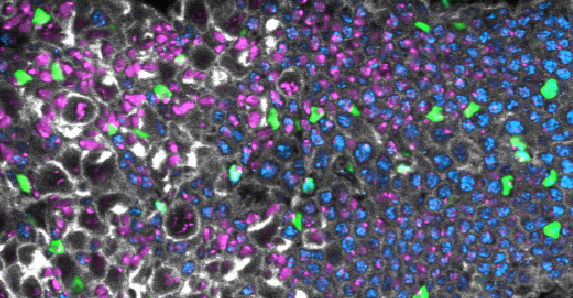 Tri-dimensional reconstruction of a confocal image showing Drosophila central brain and optic lobe (stack, late larval stage). 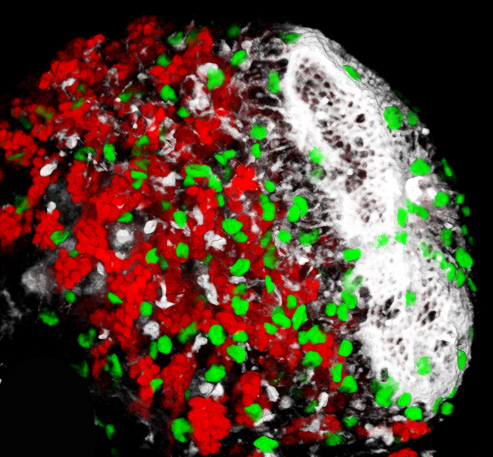 Tri-dimensional reconstruction of a confocal image showing a Drosophila blood-brain barrier (stack, lateral view, early larval stage).